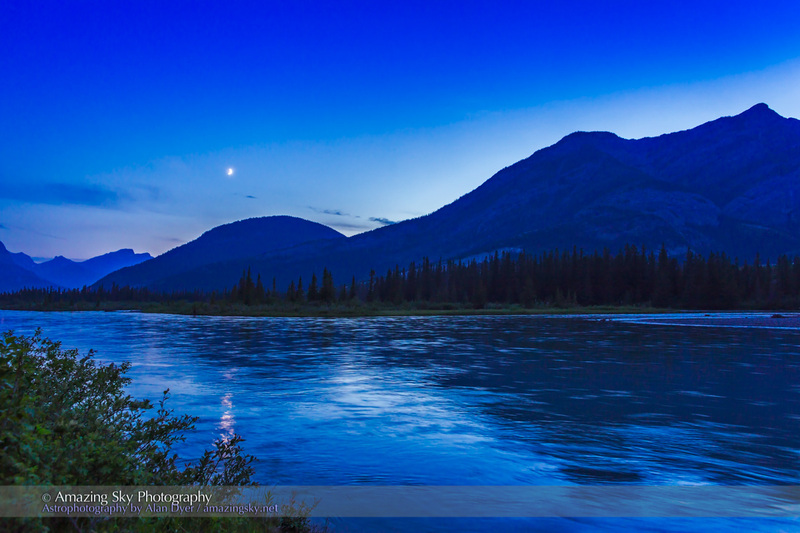 The waxing crescent Moon shines over water at Bow Valley Provincial Park, Alberta. What an excellent evening this was. On July 2 I was at a newly discovered spot, the Whitefish picnic area, in Bow Valley Provincial Park between Calgary and Canmore, Alberta. I was there with colleagues doing a shoot for a promotional video for a project I’m involved with. But after the business shoot, I stuck around to take my own shots for time-lapse movies and still images. 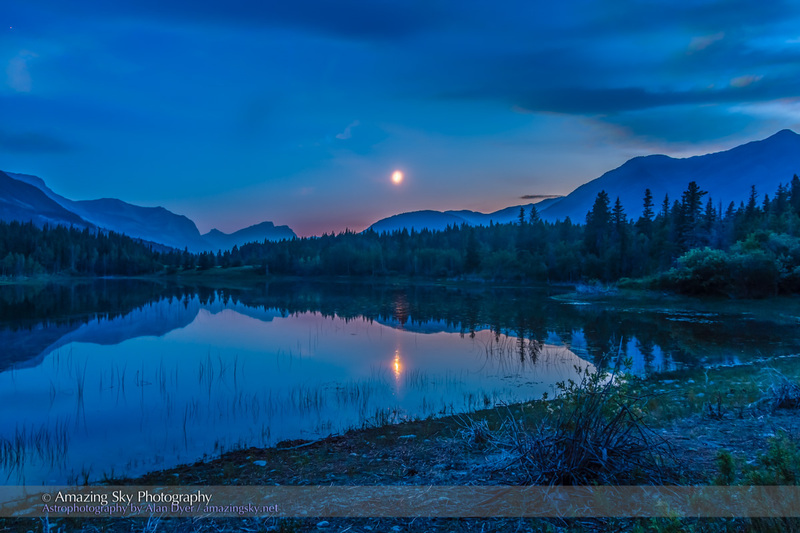 In the scene above the Moon is reflected in the still waters of Middle Lake in the Park. 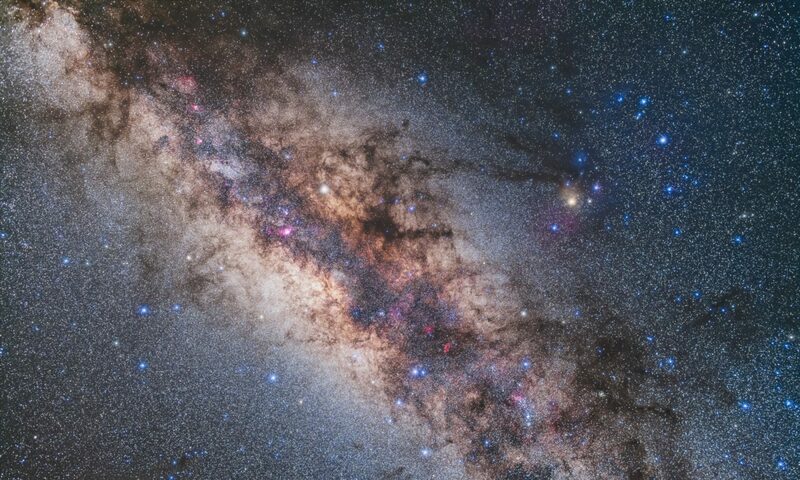 It’s a high dynamic range stack of seven exposures. 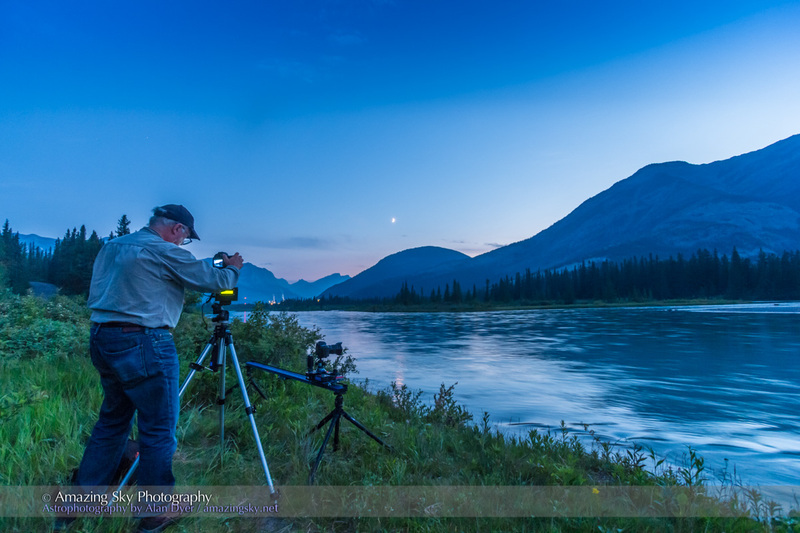 Here, a little earlier in the evening is the scene on the banks of the Bow River, with the Moon over the swiftly flowing waters of the glacier-fed Bow. Its waters nourish much of southern Alberta, making farming, industry and life possible in an otherwise dry, rain-shadow climate. Though a year ago its flood-swollen waters were bringing disaster to many people along the Bow. This evening I shot motion-control time-lapses by the Bow, using some new gear that slowly pans or turns cameras during a time-lapse shoot. This is me playing with the new eMotimo controller, while the Dynamic Perception dolly does its thing below. Hi, is there a link to the video with these, not sure? I’ve not posted the video from these images. I so much enjoy receiving your weekly blog. Thank you so much for sharing your magnificent images. I have forwarded this week’s entry to my brother, Allan, in Australia. Great work Alan. These are some of the most beautiful scenes I have ever had the privilege of looking at. Hi ! Alan, Beautiful pictures, as a would be artist, I will have to try and paint one of them. Just great to see the mountains , trees and water in the lakes and how it all fits in and the moon shining down on it all. Beautiful !! !